United Cooperative believes that strong communities are necessary for the growth and development of our farmer-owned business. Each year we set aside resources for community giving in the areas where our member-owners and customers live. Our focus is in building the next generation of farmers and leaders for the workforce that will be needed to keep our organization thriving. We're sorry, we do not provide support to individual benefits, religious organizations, political parties or political candidates. Fill out the application below. If you don't have time to fill it out right now, click here to download the PDF version and send it in later. ** Please note: donation requests are reviewed on a monthly basis. Please allow enough time before your donation deadline or event. What will happen as a result of this donation? 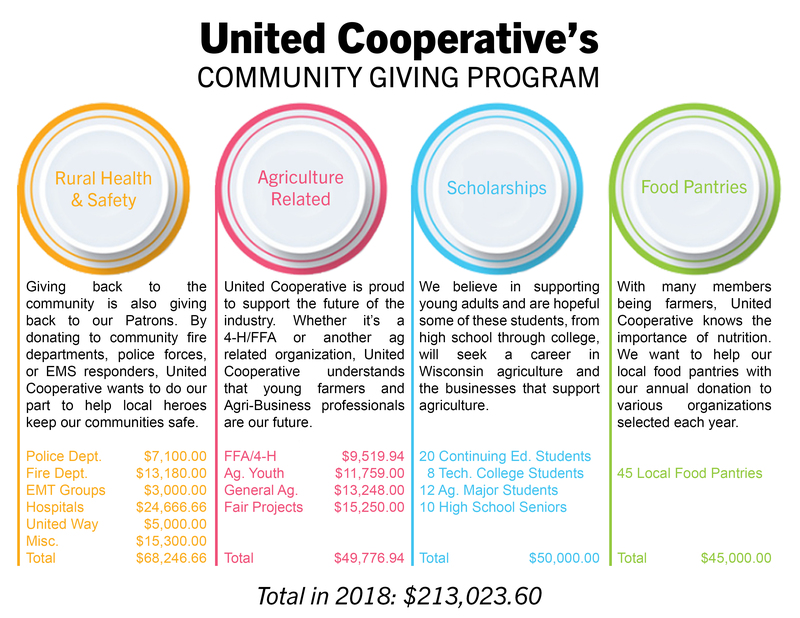 How will United Cooperative be recognized as a sponsor?